It’s here! Ode true ale is now available. Back in July, we teamed up with the team from ODE true food to create a bespoke new brew. The recipe was a collaboration between Brewery Director Lewis Parkes and owner of the ODE true food outlets Tim Bouget. With both businesses being a stone’s throw from each other and Lewis and Tim sharing the same values and passion for great tasting food and drink, a collaboration project was always going to be the perfect fit. ODE true ale, was launched last week and has been well received by the team at ODE and their customers. The recipe features olicana hops and oats to create a light amber ale with a citrus twist designed especially to go with a good meal. 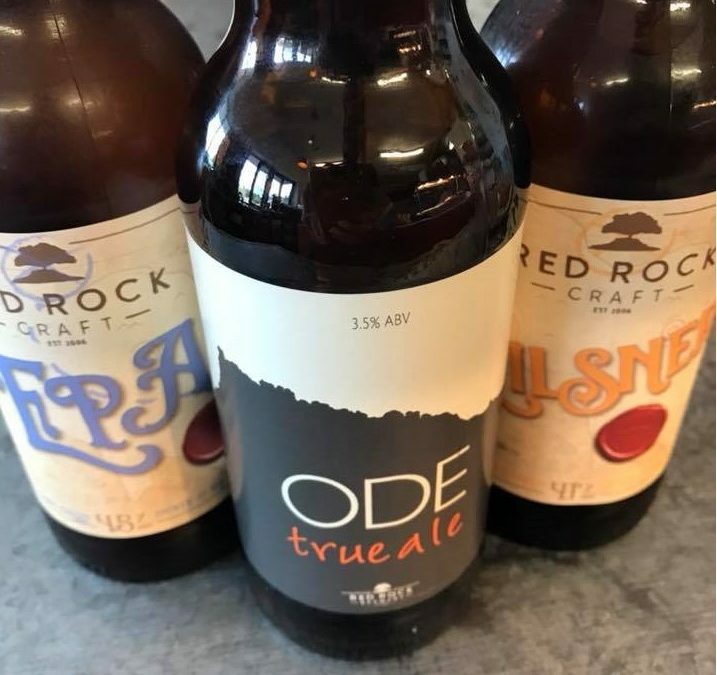 You can purchase the ale, along with our craft EPA and award winning Pilsner, from Cafe ODE at Ness Cove and ODE&CO at Coast View, both based in Shaldon. The beer will also be available as a guest ale at this year’s Abbfest, taking place on 21st-23rd September.